Dr. Young Sung is the president of National Evidence-based Healthcare Collaborating Agency (NECA), the leading Health Technology Assessment (HTA) agency in Korea. Dr. Lee is also a professor of Health Informatics and Management at the College of Medicine, Chungbuk National University. He was a visiting scholar at Stanford University Medical Media and Information Technology, and was a member of Committee on Infrastructure Technologies, National Science and Technology Council, the highest decision making body on science and technology policies under the President of Republic of Korea. He is currently serving as a member of policy development committee under the National Academy of Medicine of Korea, and a chair of the board for the next term at the Korean Society of Medical Informatics. He has contributed to the development of the medical informatics in Korea over the last two decades, providing a concrete roadmap for strengthening the Big Data-based research capability and building an efficient infrastructure in the medical information fields. In addition, he introduced Professional Science Master (PSM), training for science-business convergence specialist into Korea for the first time in order to train business management skills and know-how to life scientists. 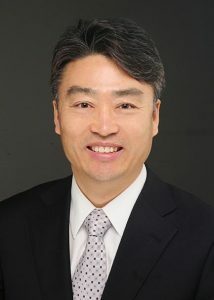 He is now serving as a board member of Korean Association of Agricultural Medicine & Community Health Medicine and Korean Society of Health Policy and Administration, and a member of Asia Pacific Advanced Network (APAN) medical working group as well, contributing to the development of healthcare policy in Korea as a board member of various healthcare related committees and academic associations. Dr. Young Sung was appointed by the Board to complete the 1-year term vacancy left by Prof. Tracy Merlin after she was elected into the Vice Chair role in June 2018.